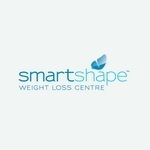 SmartShape Weight loss centre is a health care service provider established in the year 2005 and has seven clinics available across Canada with more than 50 affiliates for post-operation care and support. SmartShape Calgary clinic treats obesity by assisting patients to lose weight in a gradual, healthy and sustained manner through varying comprehensive programs, which include; the Lap-band, gastric sleeve and the Gastric balloon programs. For instance, A Lap band involves placing an inflatable device around the upper part of the stomach. It slightly constricts the stomach outlet making it uncomfortable to over eat. It can be adjusted and even removed when one attains their targeted weight. On the other hand, the surgery does not take very long and patients cope well with it. It helps combat obesity by minimizing the amount one eats. These programs are aimed at helping one to control how much and how often they eat by decreasing their hunger. If one is considering a Lap-Band or gastric sleeve in Calgary, Smart shape Weight loss centre should be on hand to offer these services. The whole process kicks off with a free consultation with one of their surgeons. Among the after-care provided at SmartShape weight loss centre includes a comprehensive follow-up program which entails; continuous support, counselling and access to educational seminars developed by their professional health care teams. Smart Shape’s continuous involvement in global studies, publishing of reports in medical journals and involvement in international conferences underline their expertise in this field. They also have in place resources and a support system to monitor and analyze an individual’s progress to help them meet their goals. At SmartShape weight loss centre, they give priority to assisting their patients attain sustained weight loss successfully while also taking into account their overall health. Since weight loss surgery is the best course of action for people with obesity. SmartShape Calgary can help one get their weight under control to avoid illnesses or even death through surgeries such as gastric banding.